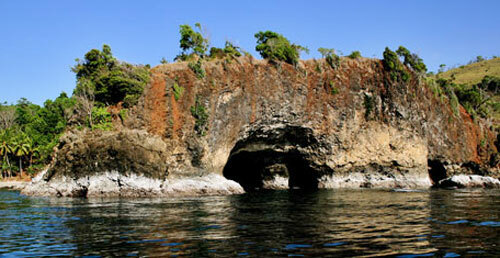 Pintu Kota is a big coral that looks like a gate and stay at Banda Sea. This tourism object is located in Airlaow village and Seri Village. The uniquely of this is the specific coral form. Gotong Royong Market in the harbor area is slowly being replaced by sanitized setting of a newly built Merdeka market. Shopping along Patty Street of the market, look for framed montages from shaped pieces of mother of pearl, ‘ikat’ cloth from Taimbar and miniature ships cleverly made from wire and cloves. At the end of Patty Street, there is the Al Fatah Mosque.